Viki is the heart of the show and its grande dame. She appeared on the show when it first debuted. She was the heroine for many years, and now she is everyone's mother, sister, friend. She has always had a good heart. Viki has endured many horrible things and yet always keeps a positive attitude. First she was thought to have a dual personality, Niki, but later was shown to have multiple personalities or DID (Dissociative Identity Disorder). 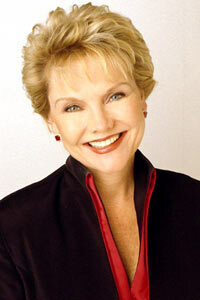 Such roles allowed Erika Slezak to show off her many talents. These personalities did the bad things that Viki could never get away with and often showed a fun side. However, the personalities also did a lot of damage to her family, including killing her father and burning down her house (with daughter Jessica inside). In addition to Niki, Viki's other alternate personalities, now integrated, are Tommy, Jean Randolph, Princess, Tori, and Victor Lord. Viki has been married many times and it has often ended in tragedy. Her first husband Joe died but left her with two sons, Kevin and Joey (later adopted by husband Clint Buchanan). Her third husband Sloan died of cancer soon after they were married. (They married knowing he didn't have much time.) Her last husband Ben was shot and was in a coma for a few years. In February 2004, Ben came out of his coma briefly and they had a sort of closure, so she could get on with her life. Viki's multiple personalities stem from being molested by her father, Victor, when she was a child. He also fooled around with her teenage best friend, Irene, and had two children with her (Tina and Todd). He had a secret room in the basement that Viki later found out about. This was discovered years after his death, which Viki always thought Dorian was responsible for. Dorian was married to Victor and seemed very interested in his estate, so when he was in the hospital, Dorian (who was a doctor at the time) tried to kill him. Later we found out that it was really Viki who succeeded at the task (or rather, one of her personalities). This is the source of the hostility that existed between Viki and Dorian for many years and why Dorian resented Viki. However, they seem to have buried the hatchet and are now sort of friends. They are also related by marriage through Viki's son and brother, and Dorian's nieces. Besides these traumas, Viki has been shot, been blind, had breast cancer, and been in a coma. Recently she discovered that she has heart disease. She also underwent brain surgery, where she went to heaven and saw her father, Victor (this was before they had rewritten the character as a perverted child molester), and her husband Joe. Viki discovered that she had a daughter, Megan, born when Viki was a teen. Victor, with the help of Larry Wolek, had taken the child away and given her to the father, Roger. Victor didn't approve of Roger's relationship with Viki, and so he made sure that she didn't remember Roger or the baby by using a hypnotist. After reuniting with Megan, she lost her again: Megan developed lupus and died. Viki also found out about the underground city of Eterna that had been buried for years (as well as in her hypnotized memories). She also went back in time to save husband Clint Buchanan, father of daughter Jessica, who was trapped back there. Among her unstable siblings and her troubled children and husbands, Viki is always the rock that everyone can confide in. Viki will no doubt continue to be the beleaguered heroine and loving woman that we all know and care about. Anyone who thinks they have had a tough year should have ridden the roller coaster that was Victoria Lord's life. First, she had a scary battle with breast cancer. Then she fell in love with a younger man, and they had a fairytale wedding. And then he was shot at the reception! "It was like real life," says Erika Slezak (who plays Victoria on TV's One Life To Live), "where you can have a moment of great happiness and a moment of deep depression, and it can happen in the same five minutes. It was T.S. Eliot who once said that in a minute there is time for decisions and revisions, which a minute can reverse." ... That nothing lasts in this world. Slezak, 54, celebrates 30 years on "OLTL" this week. That's longer than her 23-year marriage to theater actor Brian Davies. ... That soap divas ooze attitude. Though her character is regal (Slezak is legendary for avoiding the use of contractions to retain that precise air), the actress is motherly, telling us to take our time during an interview and sharing intimate stories of her family. ... That daytime is for airheads. "People who don't work on soaps have no idea how difficult it is. We do 40 pages of dialogue a day. When people come here from California or the theater, even, they're in a panic. `Oh, my God! How do you do this? When do you rehearse?' You don't. You learn your lines and go and do it." ...That only the career-obsessed can succeed. Despite winning five Emmys, Slezak is proudest of her children --Michael, 21, a junior at Georgetown business school, and Amanda, 19, a budding actress at New York University.